Voice is the future. The world’s technology giants are clamoring for vital market share, with both Google and Amazon placing voice-enabled devices at the core of their strategy. However, the historical antecedents that have led us to this point are as essential as they are surprising. Within this report, we take a trip through the history of speech recognition technology, before providing a comprehensive overview of the current landscape and the tips that all marketers need to bear in mind to prepare for the future. Speech recognition technology entered the public consciousness rather recently, with the glossy launch events from the tech giants making worldwide headlines. The appeal is instinctive; we are fascinated by machines that can understand us. From an anthropological standpoint, we developed the spoken word long in advance of its written counterpart and we can speak 150 words per minute, compared with the paltry 40 words the average person can type in 60 seconds. In fact, communicating with technological devices via voice has become so popular and natural that we may be justified in wondering why the world’s richest companies are only bringing these services to us now. The history of the technology reveals that speech recognition is far from a new preoccupation, even if the pace of development has not always matched the level of interest in the topic. As we can see below, major breakthroughs dating back to the 18th century have provided the platform for the digital assistants we all know today. The earliest advances in speech recognition focused mainly on the creation of vowel sounds, as the basis of a system that might also learn to interpret phonemes (the building blocks of speech) from nearby interlocutors. These inventors were hampered by the technological context in which they lived, with only basic means at their disposal to invent a talking machine. Nonetheless, they provide important background to more recent innovations. Dictation machines, pioneered by Thomas Edison in the late 19th century, were capable of recording speech and grew in popularity among doctors and secretaries with a lot of notes to take on a daily basis. However, it was not until the 1950s that this line of inquiry would lead to genuine speech recognition. Up to this point, we see attempts at speech creation and recording, but not yet interpretation. 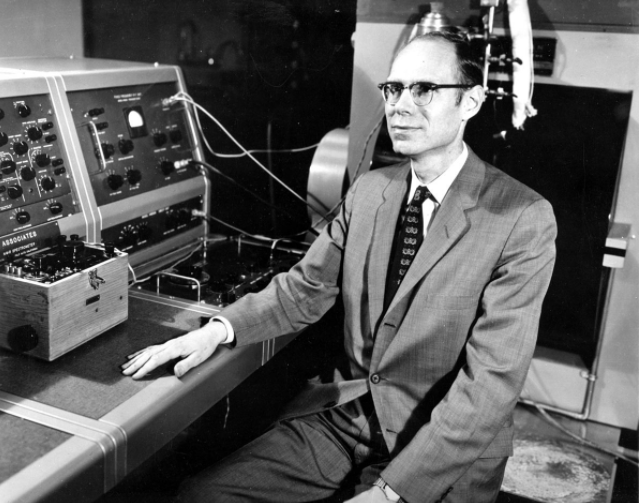 Audrey, a machine created by Bell Labs, could understand the digits 0–9, with a 90% accuracy rate. Interestingly, this accuracy level was only recorded when its inventor spoke; it hovered between 70% and 80% when other people spoke to Audrey. This hints at some of the persistent challenges of speech recognition; each individual has a different voice and spoken language can be very inconsistent. Unlike text, which has a much greater level of standardization, the spoken word varies greatly based on regional dialects, speed, emphasis, even social class and gender. Therefore, scaling any speech recognition system has always been a significant obstacle. Until the 1990s, even the most successful systems were based on template matching, where sound waves would be translated into a set of numbers and stored. These would then be triggered when an identical sound was spoken into the machine. Of course, this meant that one would have to speak very clearly, slowly, and in an environment with no background noise to have a good chance of the sounds being recognized. IBM Tangora, released in the mid-1980s and named after Albert Tangora, then the world’s fastest typist, could adjust to the speaker’s voice. It still required slow, clear speech and no background noise, but its use of hidden Markov models allowed for increased flexibility through data clustering and the prediction of upcoming phonemes based on recent patterns. Although it required 20 minutes of training data (in the form of recorded speech) from each user, Tangora could recognize up to 20,000 English words and some full sentences. The seeds are sown here for voice recognition, one of the most significant and essential developments in this field. It was a long-established truism that speech recognition could only succeed by adapting to each person’s unique way of communicating, but arriving at this breakthrough has been much easier said than done. 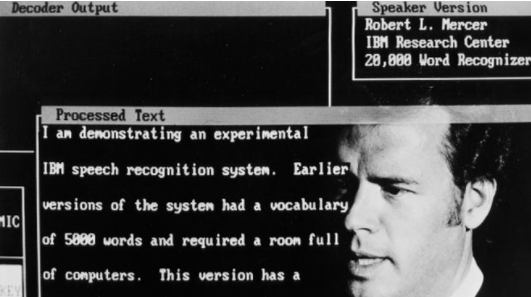 It was only in 1997 that the world’s first “continuous speech recognizer” (ie. one no longer had to pause between each word) was released, in the form of Dragon’s NaturallySpeaking software. Capable of understanding 100 words per minute, it is still in use today (albeit in an upgraded form) and is favored by doctors for notation purposes. Machine learning, as in so many fields of scientific discovery, has provided the majority of speech recognition breakthroughs in this century. Google combined the latest technology with the power of cloud-based computing to share data and improve the accuracy of machine learning algorithms. This culminated in the launch of the Google Voice Search app for iPhone in 2008. Driven by huge volumes of training data, the Voice Search app showed remarkable improvements on the accuracy levels of previous speech recognition technologies. Google built on this to introduce elements of personalization into its voice search results, and used this data to develop its Hummingbird algorithm, arriving at a much more nuanced understanding of language in use. These strands have been tied together in the Google Assistant, which is now resident on almost 50% of all smartphones. It was Siri, Apple’s entry into the voice recognition market, that first captured the public’s imagination, however. As the result of decades of research, this AI-powered digital assistant brought a touch of humanity to the sterile world of speech recognition. After Siri, Microsoft launched Cortana, Amazon launched Alexa, and the wheels were set in motion for the current battle for supremacy among the tech giants’ respective speech recognition platforms. In essence, we have spent hundreds of years teaching machines to complete a journey that takes the average person just a few years. Starting with the phoneme and building up to individual words, then to phrases and finally sentences, machines are now able to understand speech with a close to 100% accuracy rate. The techniques used to make these leaps forward have grown in sophistication, to the extent that they are now loosely based on the workings of the human brain. Cloud-based computers have entered millions of homes and can be controlled by voice, even offering conversational responses to a wide range of queries. That journey is still incomplete, but we have travelled quite some distance from the room-sized computers of the 1950s. Smartphones were originally the sole place of residence for digital assistants like Siri and Cortana, but the concept has been decentralized over the past few years. 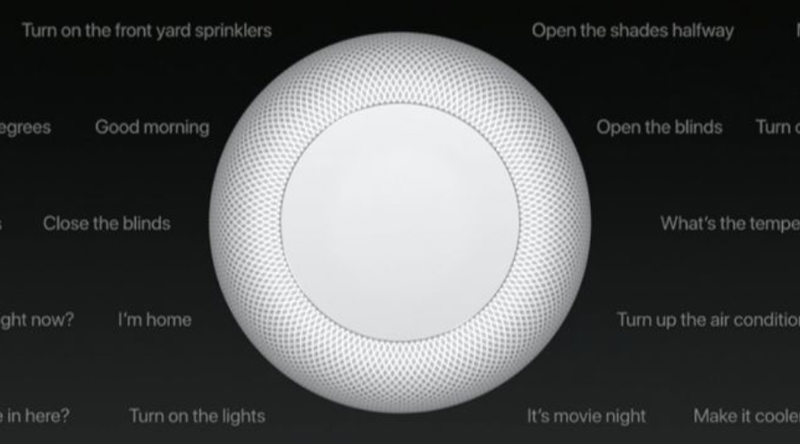 At present, the focus is primarily on voice-activated home speakers, but this is essentially a Trojan horse strategy. By taking pride of place in a consumer’s home, these speakers are the gateway to the proliferation of smart devices that can be categorized under the broad ‘Internet of Things’ umbrella. A Google Home or Amazon Echo can already be used to control a vast array of Internet-enabled devices, with plenty more due to join the list by 2020. These will include smart fridges, headphones, mirrors, and smoke alarms, along with an increased list of third-party integrations. 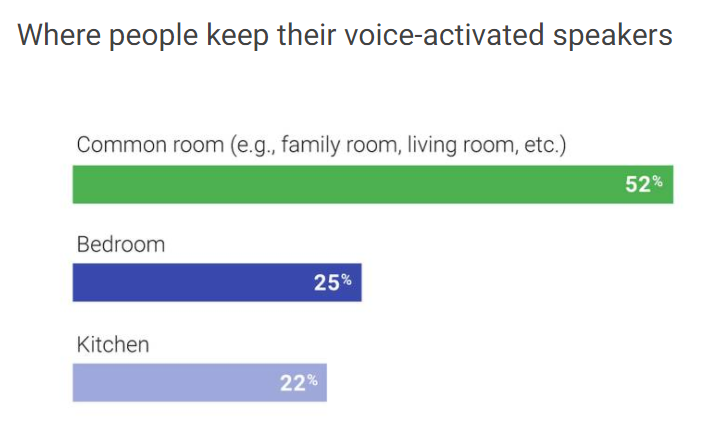 Recent Google research found that over 50% of users keep their voice-activated speaker in their living room, with a sizeable number also reporting that they have one in their bedroom or kitchen. And this is exactly the point; Google (and its competitors) want us to buy more than one of these home devices. The more prominent they are, the more people will continue to use them. Their ambition is helped greatly by the fact that the technology is now genuinely useful in the accomplishment of daily tasks. Ask Alexa, Siri, Cortana, or Google what the weather will be like tomorrow and it will provide a handy, spoken summary. It is still imperfect, but speech recognition has reached an acceptable level of accuracy for most people now, with all major platforms reporting an error rate of under 5%. As a result, these companies are at pains to plant their flag in our homes as early as possible. Hardware, for example in the shape of a home speaker system, is not something most of us purchase often. For example, if a consumer buys a Google Home, it seems probable that they will complement this with further Google-enabled devices, rather than purchase from a rival company and create a disjointed digital ecosystem under their roof. Much easier to seek out devices that will enable continuity and greater convenience. For this reason, it makes sense for Amazon to sell the Echo Dot for as low as $29.99. That equates to a short-term financial loss for Amazon on each device sold, but the long-term gains will more than make up for it. There are estimated to be 33 million smart speakers in circulation already (Voice Labs report, 2017) and both younger and older generations are adopting the technology at a rapid rate. In fact, the demographics of an assistant “superuser,” someone who spends twice the amount of time with personal assistants on a monthly basis than average — is a 52-year old woman, spending 1.5 hours per month with assistant apps. 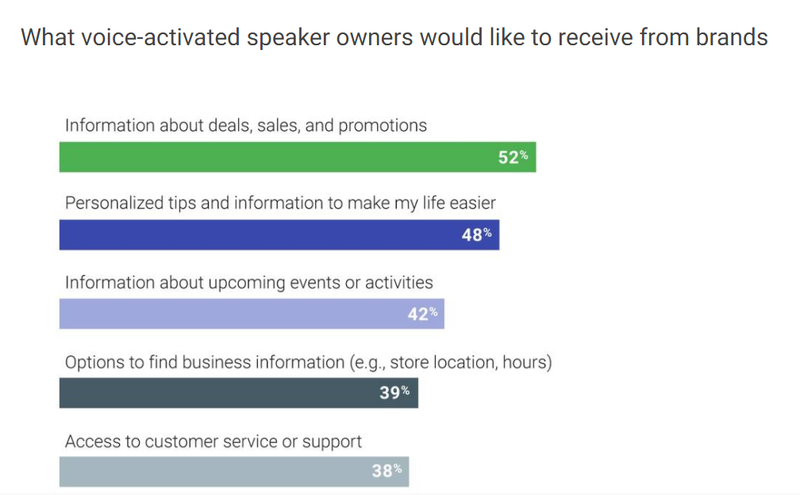 Perhaps most importantly for the major tech companies, consumers are increasingly comfortable making purchases through their voice-enabled devices. Short-term conclusions about the respective business strategies of Amazon and Google, in particular, are relatively easy to draw. The first-mover advantage looks set to be marked in this arena, especially as speech recognition continues to develop into conversational interactions that lead to purchases. We have written before about the two focal points of the voice search strategy for the tech giants: the technology should be ubiquitous and it must be seamless. Voice is already a multi-platform ecosystem, but we are some distance from the ubiquity it seeks. To gain insight into the likely outcome of the current competition, it is worth assessing the strengths and weaknesses of the four key players in western markets: Amazon, Google, Apple, and Microsoft. First-party Hardware: Echo, Echo Dot, Echo Show, Fire TV Stick, Kindle. The cylindrical Echo device and its younger sibling, the Echo Dot, have been the runaway hit of the smart speaker boom. 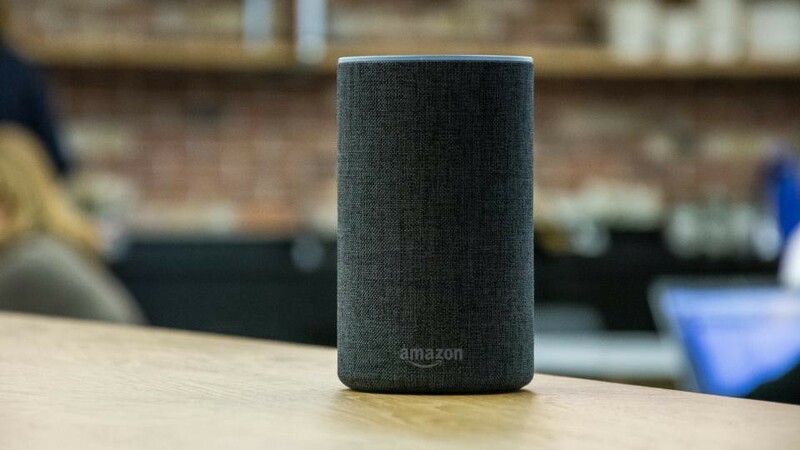 By tethering the speakers to a range of popular third-party services and ‘skills’, Amazon has succeeded in making the Echo a useful addition to millions of households. Ubiquity seems a genuine possibility, based on the sales figures. 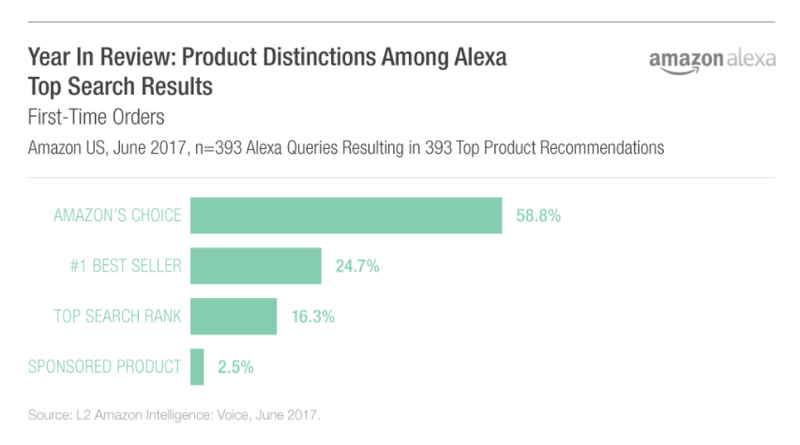 After a holiday season when the Echo Dot became the most popular product on Amazon worldwide, the Alexa app occupied top position in the App Store, ahead of Google’s rival product. Amazon’s heritage as an online retailer gives it an innate advantage when it comes to monetizing the technology, too. The Whole Foods acquisition adds further weight to this, with the potential to integrate the offline and online worlds in a manner other companies will surely envy. Moreover, Amazon has never depended on advertising to keep its stock prices soaring. Quite the contrary, in fact. As such, there is less short-term pressure to force this aspect of their smart speakers. With advertisers keen to find a genuine online alternative to Google and Facebook, Amazon is in a great position to capitalize. There is a fine balancing act to maintain here, nonetheless. Amazon has most to lose, in terms of consumer trust and reputation, so it will only move into advertising for Alexa carefully. Amazon has approached major brands asking if they would be willing to pay for Amazon’s Choice, a designation given to best-in-class products in a particular category. We should expect to see more attempts from Amazon to provide something beyond just paid ads on search results. Voice requires new advertising solutions and Amazon will tread lightly at first to ensure it does not disrupt the Alexa experience. The recently announced partnership with publishing giant Hearst is a sign of things to come. The keys to Alexa’s success will be the integration of Amazon’s own assets, along with the third-party support that has already led to the creation of over 25,000 skills. With support announced for new headphones, watches, fridges, and more, Amazon looks set to stay at the forefront of voice recognition technology for some time to come. First-party Hardware: Google Home, Google Home Mini, Google Home Max, Pixelbook, Pixel smartphones, Pixel Buds, Chromecast, Nest smart home products. Google Assistant is directly tied to the world’s biggest search engine, providing users with direct access to the largest database of information ever known to mankind. That’s not a bad repository for a digital assistant to work with, especially as Google continues to make incremental improvements to its speech recognition software. Combined with Google Photos, Google Maps, YouTube, and a range of other effective services, Google Assistant has no shortage of integration possibilities. Google may not have planned to enter the hardware market again after the lukewarm reception for its products in the past. However, this new landscape has urged the search giant into action in a very serious way. There is no room for error at the moment, so Google has taken matters into its own hands with the Pixel smartphones, the Chromecast, and of course the Home devices. 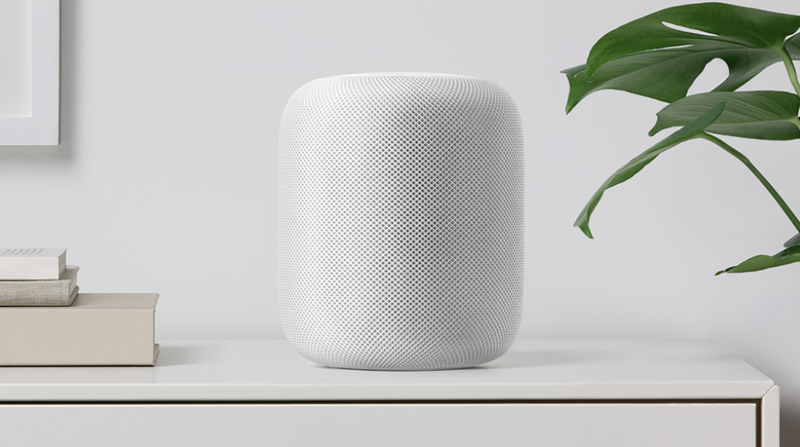 The Home Mini has been very popular, and Google has added the Home Max to the collection, which comes in at a higher price than even the Apple HomePod. All bases are very much covered. Google knows that the hardware play is not a long-term solution. It is a necessary strategy for the here and now, but Google will want to convince other hardware producers to integrate the Assistant, much in the same way it did with Android smartphone software. That removes the expensive production costs but keeps the vital currency of consumer attention spans. This adds a new, visual element to consumer interactions with smart speakers and, vitally, brings the potential to use Google Photos, Hangouts, and YouTube. Google also wants to add a “more human touch” to its AI assistant and has hired a team of comedians, video game designers, and empathy experts to inject some personality. Google is, after all, an advertising company, so the next project will be to monetize this technology. For now, the core aim is to provide a better, more human experience than the competition and gain essential territory in more households. The search giant will undoubtedly find novel ways to make money from that situation. Although it was slower off the mark than Amazon, Google’s advertising nous and growing range of products mean it is still a serious contender in both the short- and long-term. Apple retains an enviable position in the smartphone and laptop markets, which has allowed it to integrate Siri with its OS in a manner that other companies simply cannot replicate. Even Samsung, with its Bixby assistant, cannot boast this level of synergy, as its smartphones operate on Android and, as a result, have to compete with Google Assistant for attention. Nonetheless, it is a little behind the curve when it comes to getting its hardware into consumers’ home lives. The HomePod will, almost certainly, deliver a much better audio experience than the Echo Dot or Google Home Mini, with a $350 price tag to match. It will contain a host of impressive features, including the ability to judge the surrounding space and adjust the sound quality accordingly. The HomePod launch has been delayed, with industry insiders suggesting that Siri is the cause. Apple’s walled garden approach to data has its benefits for consumers, but it has its drawbacks when it comes to technologies like voice recognition. Google has access to vast quantities of information, which it processes in the cloud and uses to improve the Assistant experience for all users. Apple does not possess this valuable resource in anything like the same quantity, which has slowed the development of Siri since its rise to fame. That said, these seem likely to be short-term concerns. Microsoft has been comparatively quiet on the speech recognition front, but it possesses many of the component parts required for a successful speech recognition product. With a very significant share of the business market, the Office suite of services, and popular products like Skype and LinkedIn, Microsoft shouldn’t be written off. Apple’s decision to default to Google results over Bing on its Siri assistant was a blow to Microsoft’s ambitions, but Bing can still be a competitive advantage for Microsoft in this arena. 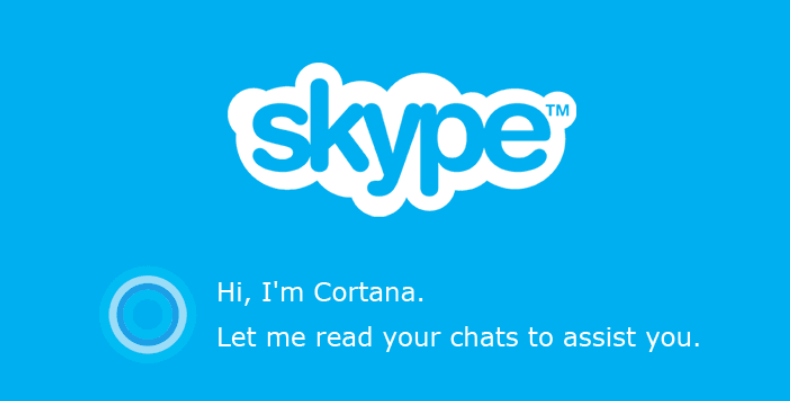 Bing is a source of invaluable data and has helped develop Cortana into a much more effective speech recognition tool. The Invoke speaker, developed by Harman/kardon with Cortana integrated into the product, has also been reduced to a more approachable $99.95. There are new Cortana-enabled speakers on the way, along with smart home products like thermostats. This should see its levels of uptake increase, but the persistent feeling is that Microsoft may be a little late to this party already. Where Microsoft can compete very credibly is in the office environment, which has also become a central consideration for Amazon. Microsoft is prepared to take a different route to gain a foothold in this market, but it could still be a very profitable one. We are still some distance from realizing the true potential of speech recognition technology. This applies both to the sophistication of the technology itself and to its integration into our lives. The current digital assistants can interpret speech very well, but they are not the conversational interfaces that the technology providers want them to be. Moreover, speech recognition remains limited to a small number of products. The rate of progress, compared to the earliest forays into speech recognition, is really quite phenomenal nonetheless. As such, we can look into the near future and envisage a vastly changed way of interacting with the world around us. Amazon’s concept of “ambient computing” seems quite fitting. 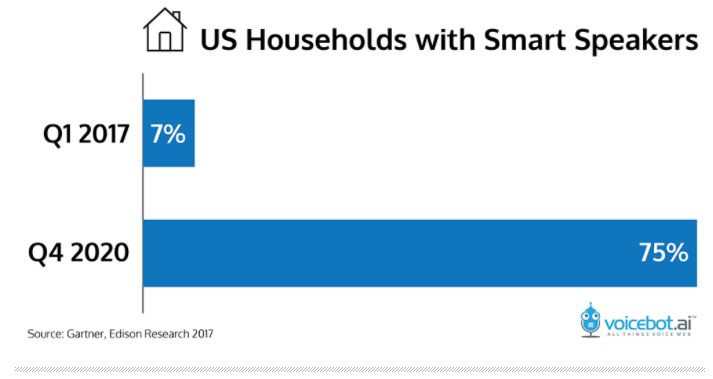 The smart speaker market has significant room left to grow, with 75% of US homes projected to have at least one by the end of 2020. Now that users are getting over the initial awkwardness of speaking to their devices, the idea of telling Alexa to boil the kettle or make an espresso does not seem so alien. Voice is becoming an interface of its own, moving beyond the smartphone to the home and soon, to many other quotidian contexts. We should expect to see more complex input-output relationships as the technology advances, too. Voice-voice relationships restrict the potential of the response, but innovations like the Amazon Echo Show and Google’s support for smart displays will open up a host of new opportunities for engagement. Apple and Google will also incorporate their AR and VR applications when the consumer appetite reaches the required level. Challenges remain, however. First of all, voice search providers need to figure out a way to provide choice through a medium that lends itself best to short responses. Otherwise, how would it be possible to ensure that a user is getting the best response to their query, rather than the response with the highest ad budget behind it? Modern consumers are savvy and have access to almost endless information, so any misjudgements from brands will be documented and shared with the user’s network. Speech recognition technology provides the platform for us to communicate credibly, but it is up to marketers to make the relationship with their audience mutually beneficial. Brands need to consider how they can make an interaction more valuable for a consumer. The innate value proposition of voice search is that it is quick, convenient, and helpful. It is only by assimilating with — and adding to -this relationship between technology and consumer that they will cut through. The Beauty and the Beast example provides an early, cautionary tale for all of us. Amazon is in prime position to monetize its speech recognition technology, but still faces obstacles. Sponsorship of Amazon’s Choice has been explored as a route to gain revenue without losing customers. Google has made speech recognition a central focus for the growth of their business. With a vast quantity of data at its disposal and increasing third-party support, Google Assistant will provide a serious threat to Amazon’s Alexa this year. Marketers should take advantage of technical best practices for voice search to increase visibility today. While this technology is still developing, we need to give it a helping hand as it completes its mammoth tasks. The best way to understand how people use speech recognition technology is to engage with it frequently. Marketers serious about pinpointing areas of opportunity should be conducting their own research at home, at work, and on the go. This story is published in The Startup, Medium’s largest entrepreneurship publication followed by 283,454+ people. Industry analyst and writer for tech, business, and marketing publications. Tropical fruit enthusiast and walker of dogs.